In a verdict announced late Monday night, jurors in the circuit court of St. Louis awarded the family of Jacqueline Fox $10 million of actual damages and $62 million of punitive damages, according to the family's lawyers and court records. The verdict is the first by a U.S. jury to award damages over the claims, the lawyers said. 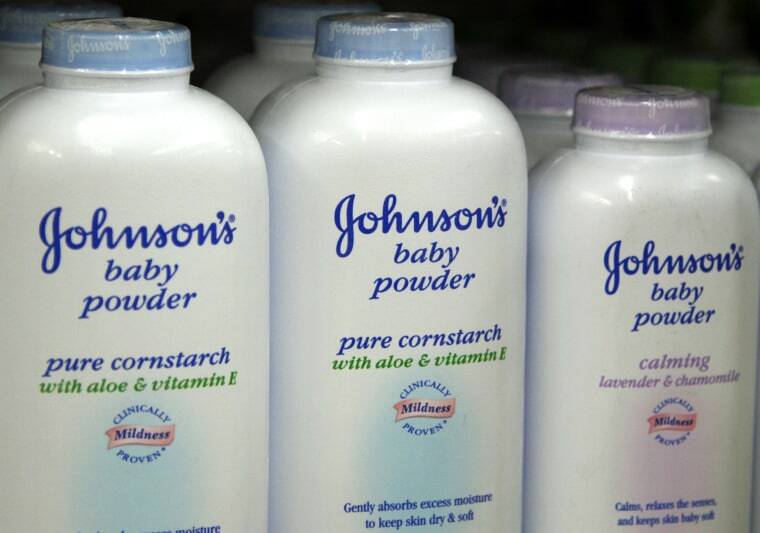 Johnson & Johnson faces several hundred lawsuits claiming that it, in an effort to boost sales, failed for decades to warn consumers that its talc-based products could cause cancer. Fox, who lived in Birmingham, Alabama, claimed she used Baby Powder and Shower to Shower for feminine hygiene for more than 35 years before being diagnosed three years ago with ovarian cancer. She died in October at age 62. Jurors found Johnson & Johnson liable for fraud, negligence and conspiracy, the family's lawyers said. Deliberations lasted four hours, following a three-week trial. Jere Beasley, a lawyer for Fox's family, said Johnson & Johnson "knew as far back as the 1980s of the risk," and yet resorted to "lying to the public, lying to the regulatory agencies." He spoke on a conference call with journalists. Carol Goodrich, a Johnson & Johnson spokeswoman, said: "We have no higher responsibility than the health and safety of consumers, and we are disappointed with the outcome of the trial. We sympathize with the plaintiff's family but firmly believe the safety of cosmetic talc is supported by decades of scientific evidence." In October 2013, a federal jury in Sioux Falls, South Dakota found that plaintiff Deane Berg's use of Johnson & Johnson's body powder products was a factor in her developing ovarian cancer. Nevertheless, it awarded no damages, court records show. Valeant Pharmaceuticals International Inc now owns the Shower to Shower brand but was not a defendant in the Fox case.